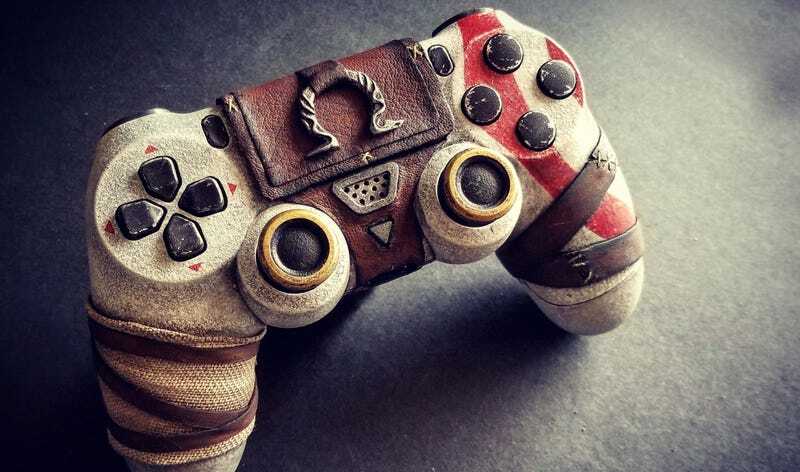 Reader Devin Smith, no stranger to amazing custom controller designs, returns with this God of War piece that has everything you’d expect, down to the paint and leather. Notice how the runes on the back light up to take the place of the DualShock 4's regular illumination, which is nice. As is that leather flap, which actually covers the touchpad instead of replacing it: to use the pad, you flip it up like a book cover. You can see more of Devin’s custom controller work at his site.